The all-new HR-V boasts of a youthful vibe with unique styling touches. The intuitively designed HR-V cockpit ensures that everything is where you need it. The elegant dashboard includes the very latest technology, it’s incredibly easy to understand and use. Beige Fabric (DX and LX Grade) and Beige Leather (EX Grade) gives the interior of the HR-V a premium comfort feel. Designed to adapt to your lifestyle, the HR-V gives you a clever, comfortable and capacious interior. 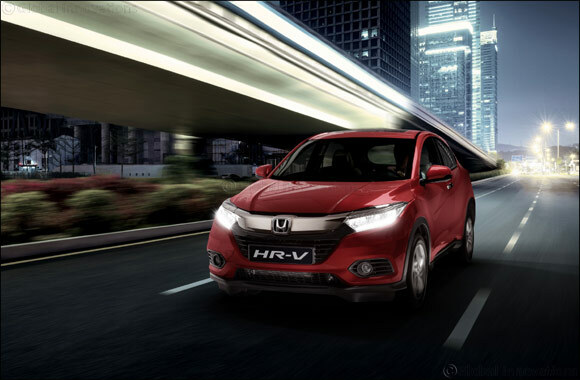 A centrally-mounted fuel tank provides the HR-V with a huge boot and Honda’s novel 2nd – Row Magic Seats are further evidence of smart thinking. The 2nd – Row Magic Seats are designed to configure in lots of useful ways to increase its carrying capacity. The HR-V, like the Jazz, also has the feature of the 60:40 split rear seat. These ingenious split seats can dive down to the floor, making a large space truly vast, or tip up to allow for sideways loading of awkward objects like a bicycle. With the new stay-spring mechanism for the hatch, it’s now easier than ever to access HR-V’s cargo space of 1,456 litres. HR-V also offers up to 100.1 cubic feet of passenger space with abundant rear seat head and legroom, especially considering HR-V’s compact outer dimensions. At full throttle, the CVT features revised shift mapping that, under hard acceleration, more closely resembles the stepped gear changes of a conventional fixed-gear transmission. This “stepped” feel gives the HR-V a more familiar feel during acceleration, while also helping to reduce interior noise levels. Additionally, HR-V’s CVT uses a more refined and natural feeling engagement, staying at lower revs more often. The 2019 HR-V also benefits from a standard list of active and passive safety features. This includes Vehicle Stability Assist™ (VSA®) with traction control, driver and passenger front airbags standard on all grades, side airbags and side curtain airbags on the EX grade only, Electronic Brake Distribution (EBD), Tire Pressure Monitoring System (TPMS), Hill Start Assist (HAS) and Honda’s next-generation Advanced Compatibility Engineering™ (ACE™) body structure.